Games guru Mark Rein says that the limited amount of data that can be fitted onto a DVD is restricting the development of his latest game, Unreal Tournament III. Rein, who works at game publisher Epic, says that Sony's Blu-ray is a much easier format to work with. Speaking at the Edinburgh Interactive Festival, Rein said: "We'll compress some things. But you know, we may have fewer maps on the 360 version. Blu-ray has definitely given us a lot of legroom. "If you think down the road, well maybe the next UT beyond this one, on Blu-ray disc, we might fill the whole damn disc with all the cool stuff the mod makers make." Until now it was thought to be much harder to develop games for the PlayStation 3 than the Xbox 360, Nintendo Wii and PC. But if the limited size of the DVD is becoming a problem, then maybe the PS3's Blu-ray drive will be its saving grace. 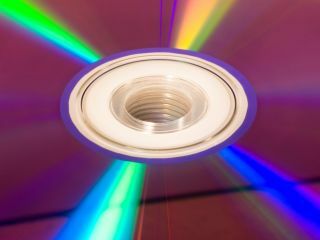 Is DVD too old for games? Dual-layer DVD-9s can store a maximum of about 8GB of data (7.95GB to be exact), whereas a dual layer Blu-ray disc can fit up to 50GB - over six times as much. Games publishers could just put extra content on a second DVD. But resurrecting the less-than-golden days of disc-swapping is something they are reluctant to do as it can fragment the gaming experience. Is the DVD format starting to show its age then? Sony's championing of Blu-Ray has had its critics. But if developers start slapping meatier versions of their games onto the HD disc format, we might see a whole lot more people interested in shelling out for a PS3. Frankly we can't see why Epic can't just slap Unreal Tournament III's beefed-up single-player onto a second disc. If more space is needed, why not be the first company to make the Xbox 360 hard drive a mandatory requirement and dump a load of extra data out onto that.